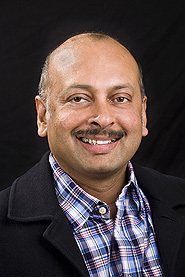 Sanjay is a graduate of the University of Stellenbosch, Cape Town, South Africa, and completed his radiological training in 1997. After fellowship training in New Zealand he worked there for several years as a Consultant Radiologist. In 2004, he moved to Perth and joined Perth Radiological Clinic as well as accepting a position at Sir Charles Gairdner Hospital. In 2007, he undertook further training in breast MRI at the University of Washington, USA. Sanjay is currently an executive committee member of the WA Branch of the Royal Australian and New Zealand College of Radiologists (RANZCR). He is also Consultant Radiologist (breast imaging) at the new Fiona Stanley Hospital. Breast imaging, cross-sectional body imaging and non-vascular interventional radiology. Mini Fellowship in Breast MRI Seattle Cancer Care Alliance & First Hill Diagnostics, Seattle. Managing Partner, Perth Radiological Clinic, Bentley. Member of the review panel for the Mammography Quality Assurance Programme, RANZCR.